February 24, 2011 — Mellanie True Hills, founder and CEO of StopAfib.org, an atrial fibrillation patient advocacy organization, is an invited speaker for the upcoming Fourth Annual Western Atrial Fibrillation Symposium. Taking place February 25-26, 2011 in Park City, UT, the Western Atrial Fibrillation Symposium is the fastest growing atrial fibrillation medical meeting. According to Symposium Director Dr. Nassir F. Marrouche, "This is the best and most comprehensive education meeting focused exclusively on atrial fibrillation, and addresses the disease from multiple perspectives. For the first time, the faculty also includes someone representing the patients. Mellanie True Hills, the founder of StopAfib.org and an atrial fibrillation survivor, will share her insights on the disease from the patient’s perspective." In her speech, Hills will cover what has been reported in surveys and medical research about living with atrial fibrillation and will talk about what it is really like to live with based on her journey as an atrial fibrillation survivor. She will talk about why she started the atrial fibrillation patient advocacy organization, and what the atrial fibrillation community has asked her to share with the medical community about living with afib. StopAfib.org was founded in 2007 by Mellanie True Hills, an atrial fibrillation survivor, to improve the quality of life for those living with atrial fibrillation and to raise awareness of afib and reduce afib strokes. HON Code Certified StopAfib.org is a patient-to-patient resource and the most visited arrhythmia site worldwide. It features the latest afib news and videos along with information about atrial fibrillation and stroke symptoms, causes, risks, and treatment. The Atrial Fibrillation Services Locator helps atrial fibrillation patients find hospitals, atrial fibrillation centers, electrophysiologists, and surgeons that specialize in treating afib. 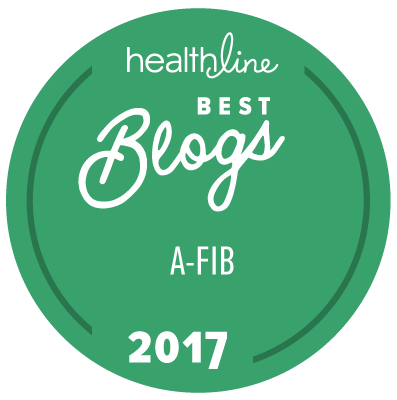 StopAfib.org also features atrial fibrillation patient resources, a newsletter, the Atrial Fibrillation Blog, the StopAfib Discussion Forum and Community, and the StopAfib YouTube Channel that brings top afib doctors to patients. For more information, visit www.stopafib.org or contact Mellanie True Hills at 940-466-9898. Mellanie True Hills is a heart health expert, speaker, and CEO of StopAfib.org. She is the author of the award-winning book, A Woman's Guide to Saving Her Own Life: The HEART Program for Health and Longevity. In 2003, she had a brush with death in emergency heart surgery followed seven months later by a near-stroke from atrial fibrillation. Hills and StopAfib.org have been featured by USA Weekend, More, Success, FOXBusiness.com, Better Homes & Gardens, Heart-Healthy Living, Newsweek, and others.